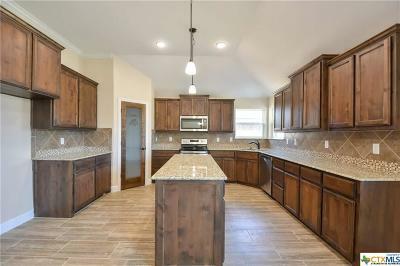 Belton ISD, New Build, Exquisite Craftsmanship!! 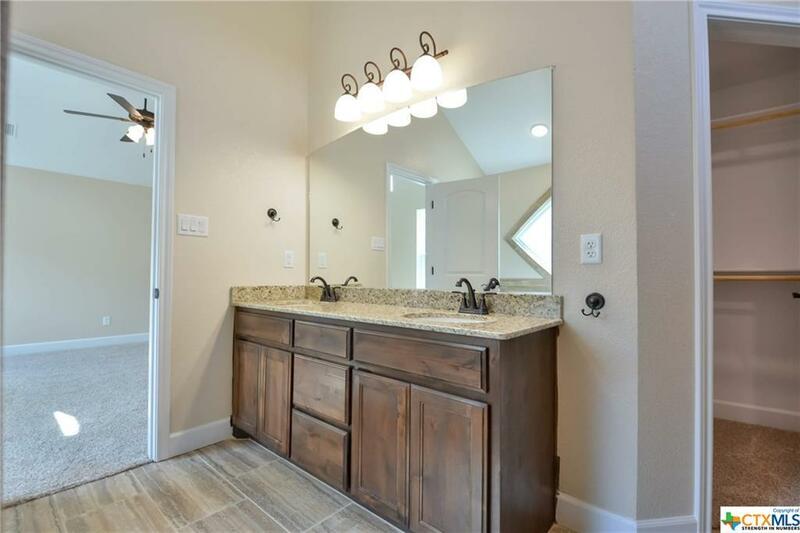 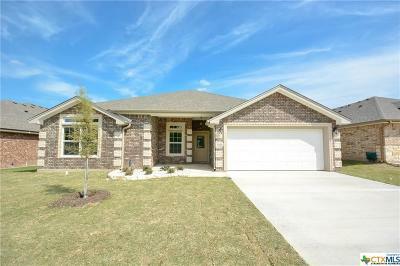 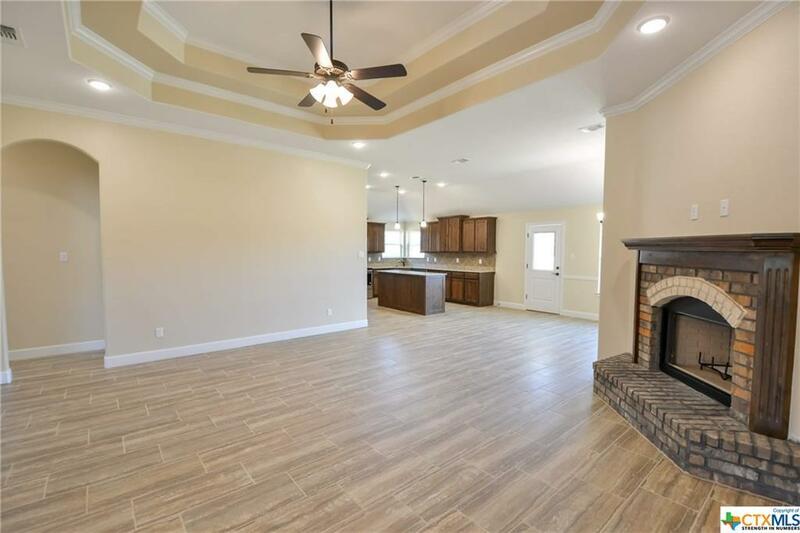 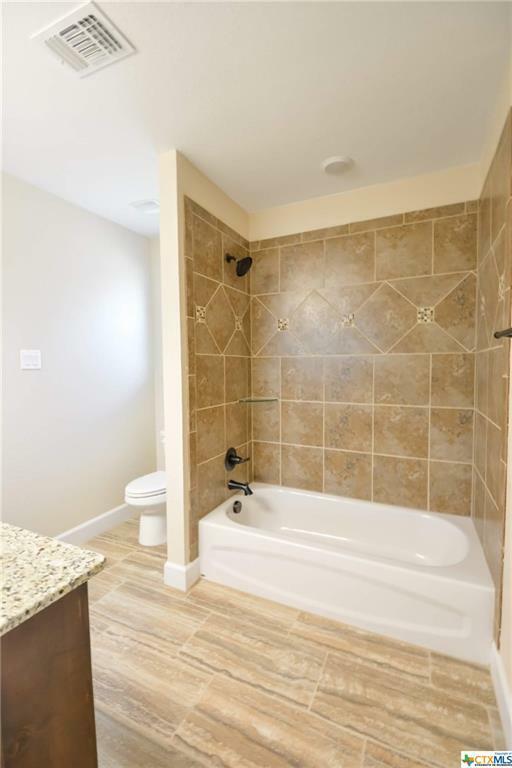 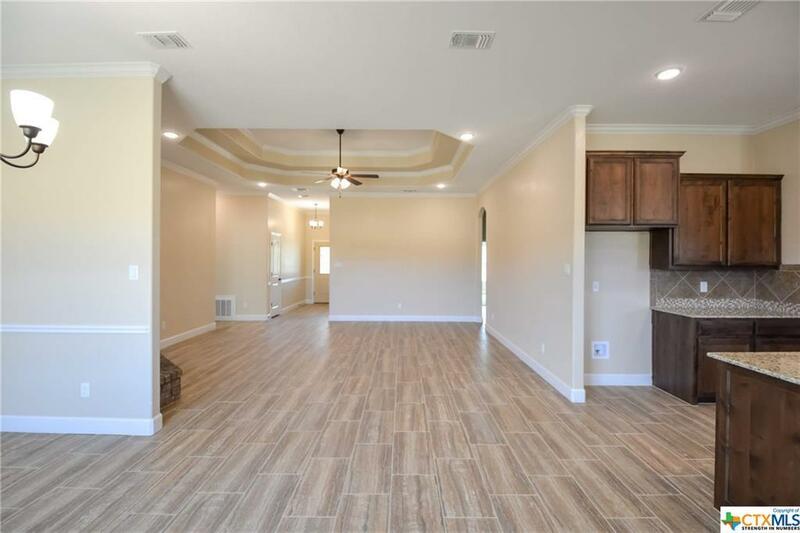 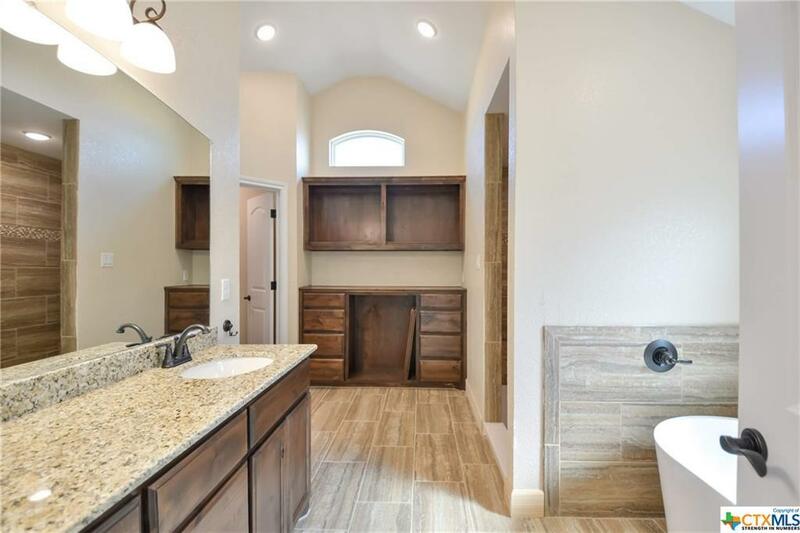 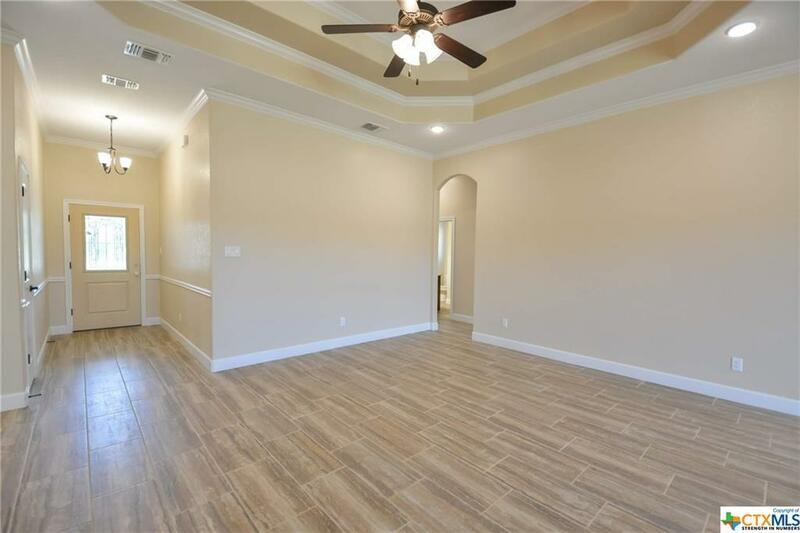 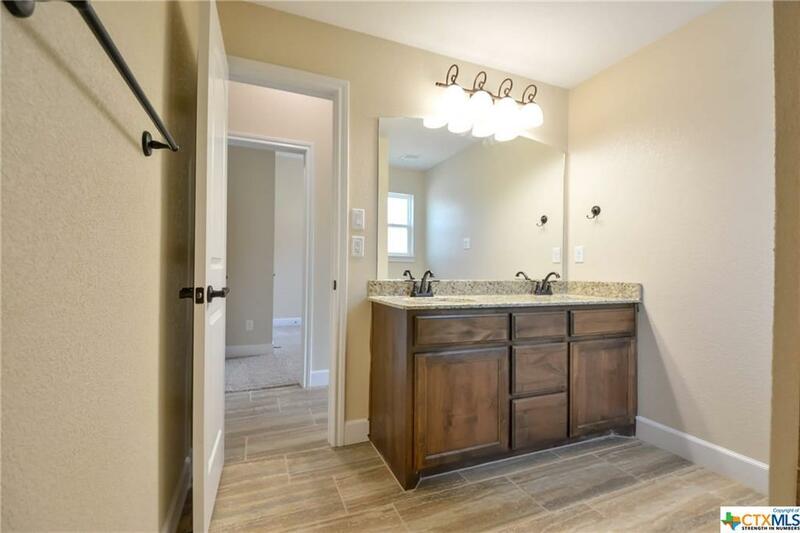 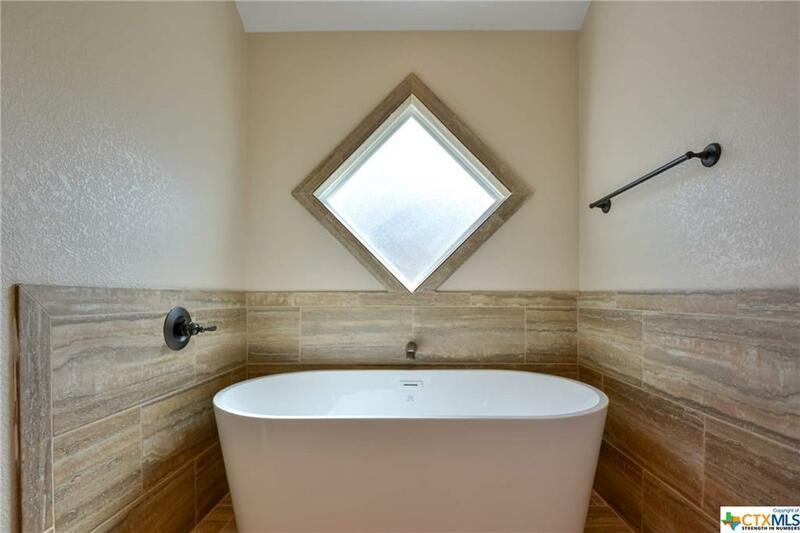 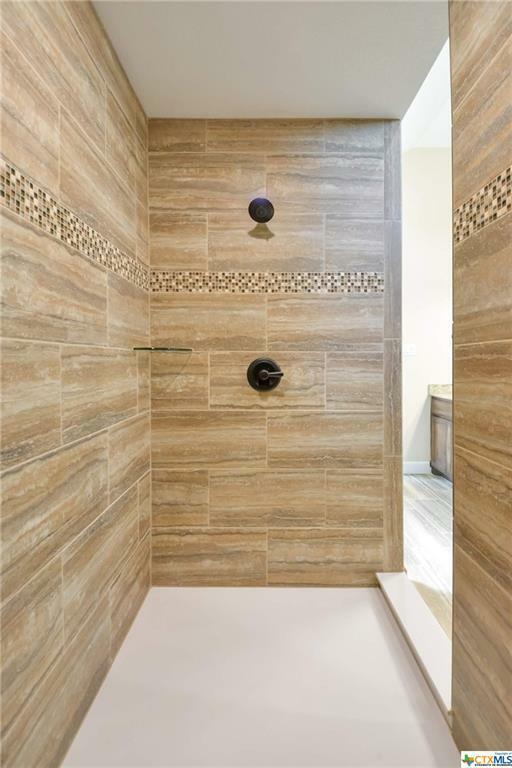 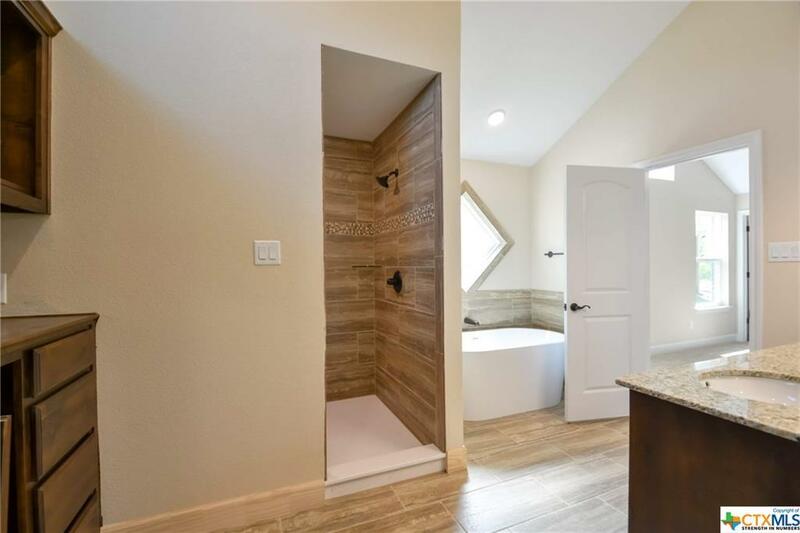 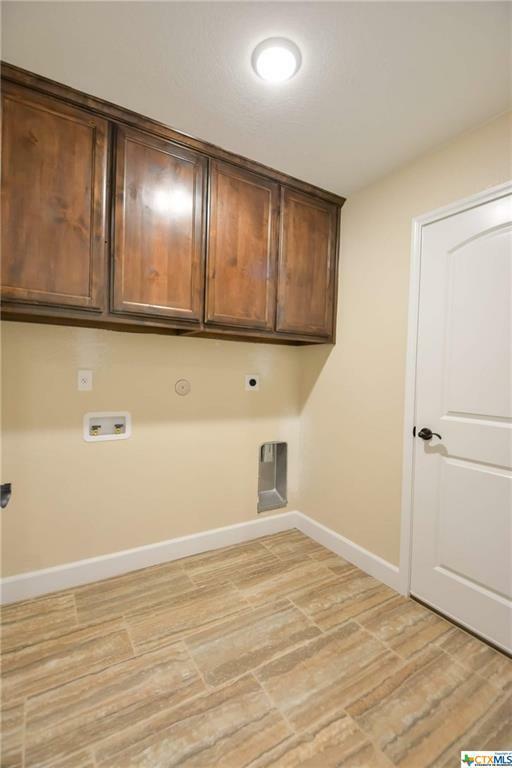 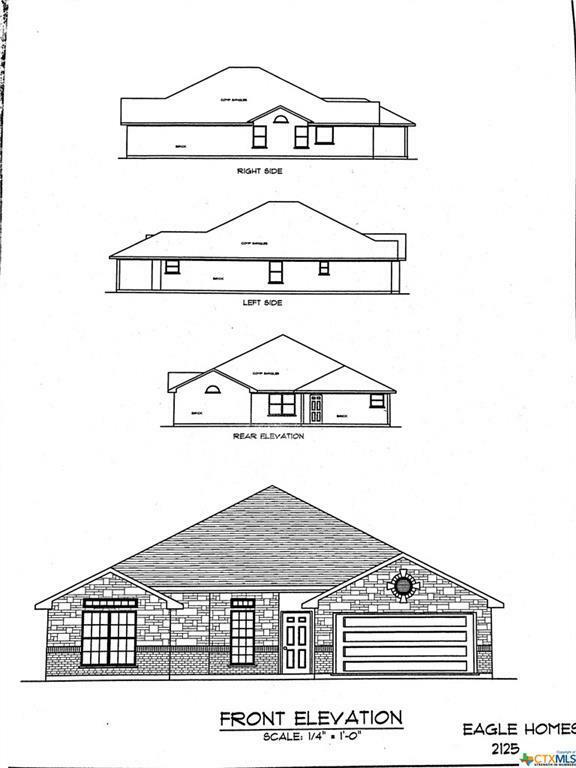 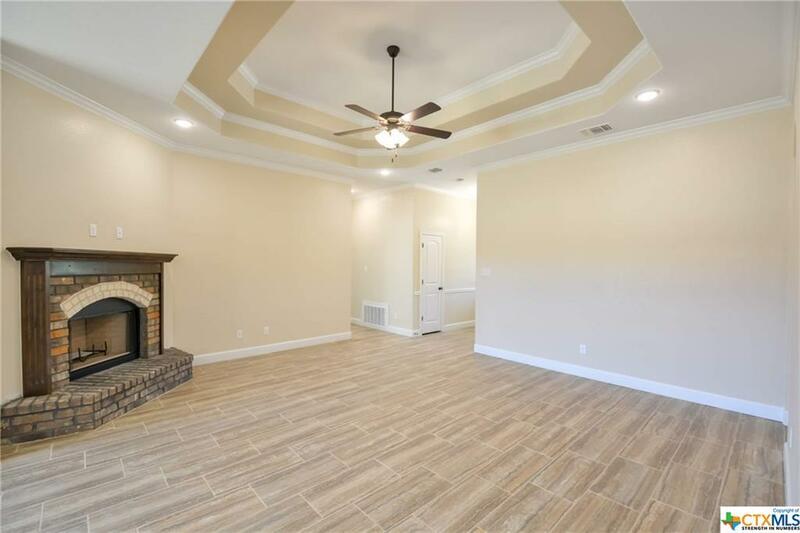 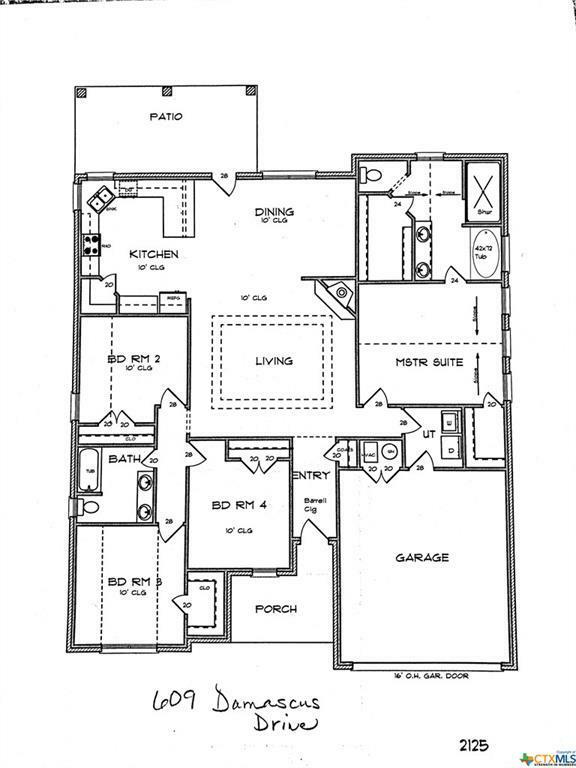 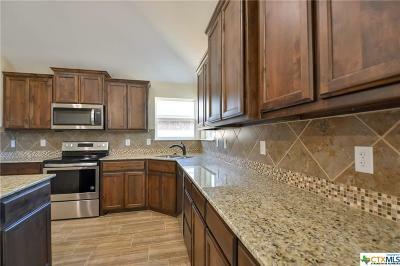 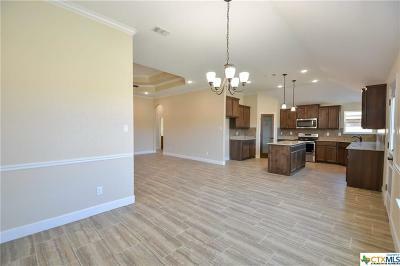 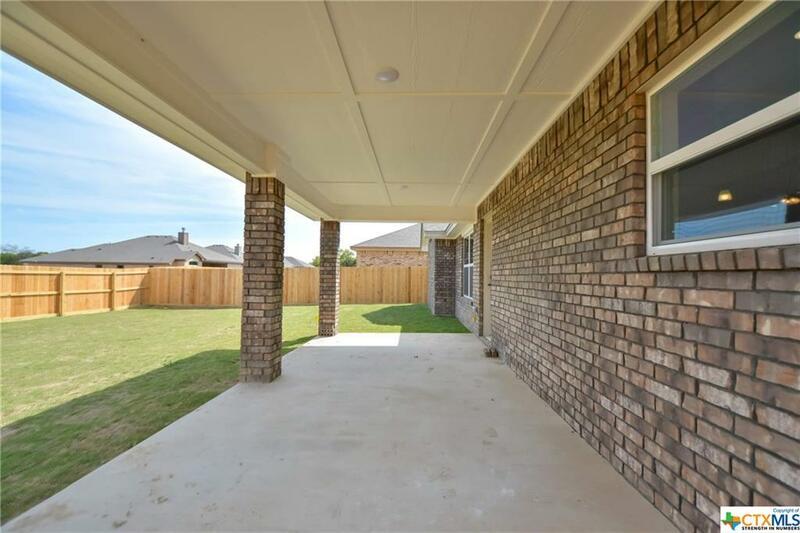 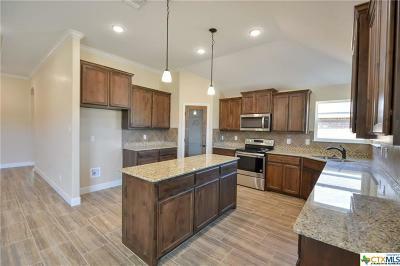 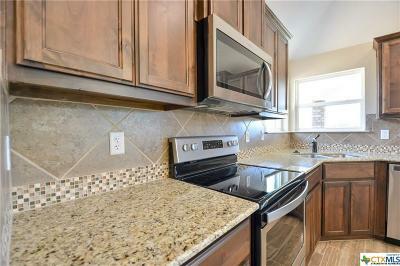 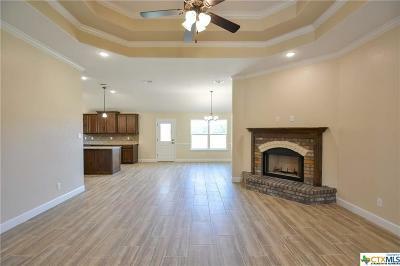 This 4 bedroom 2 bath home with over 2125 sq ft is one that shows builders pride. 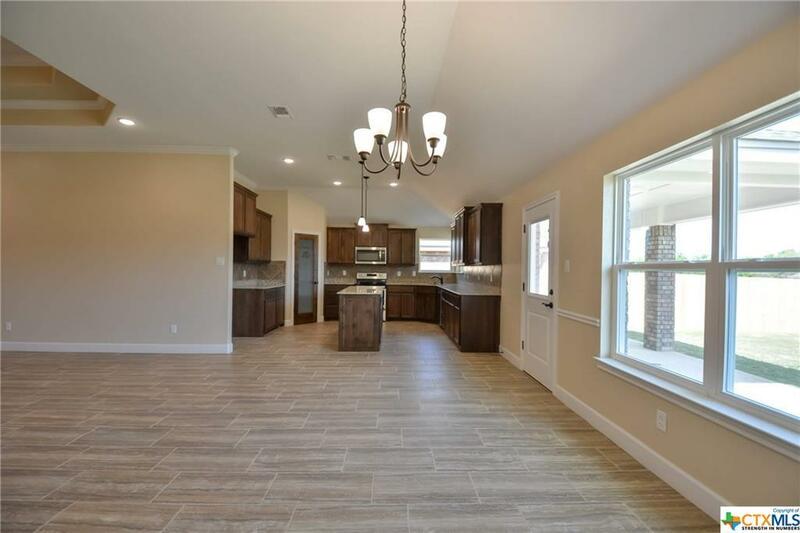 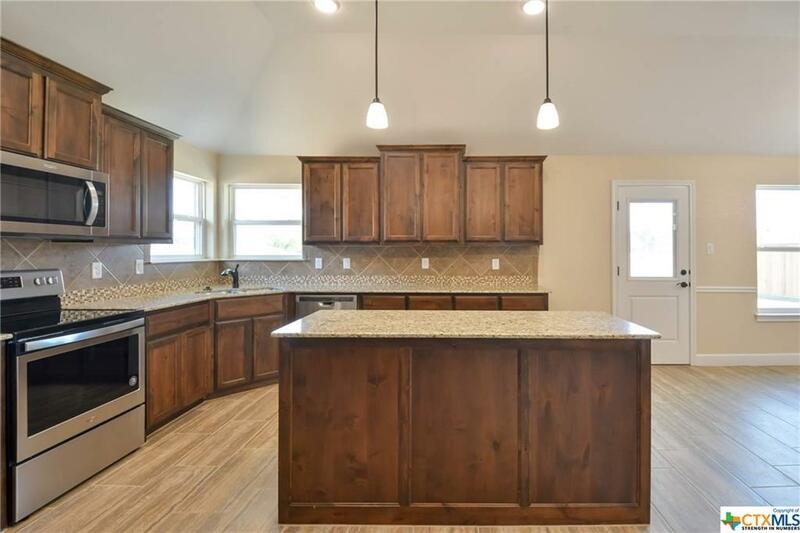 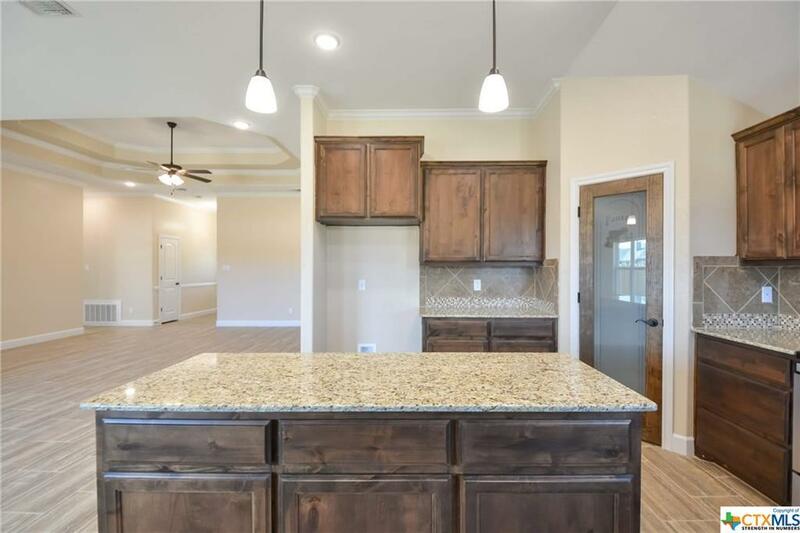 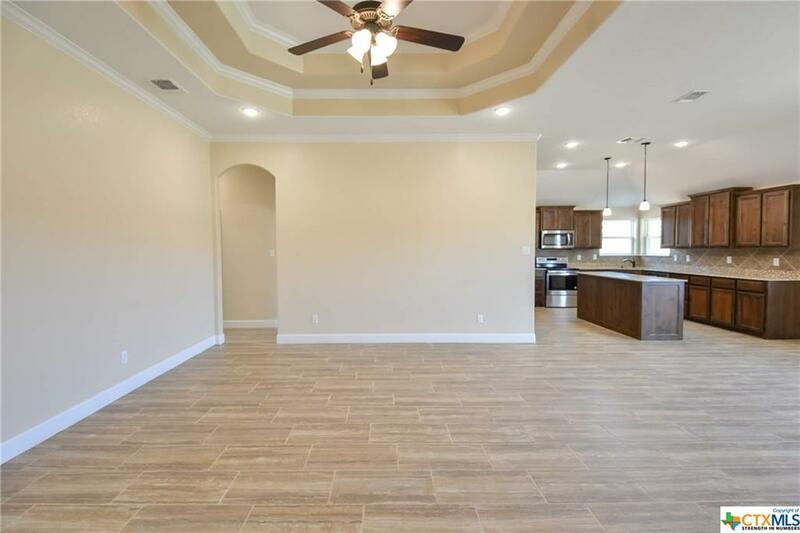 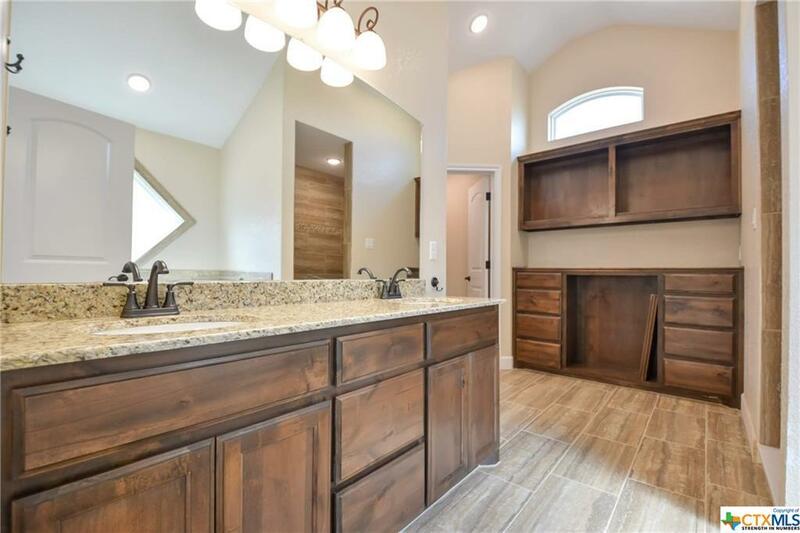 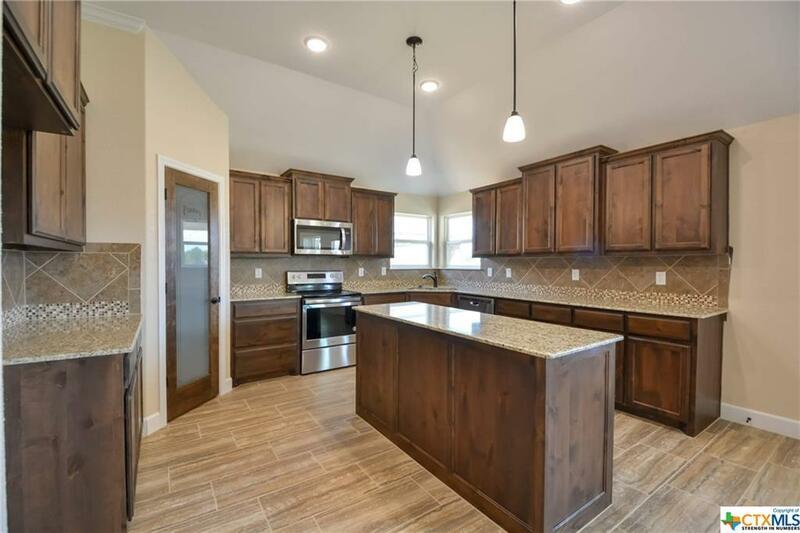 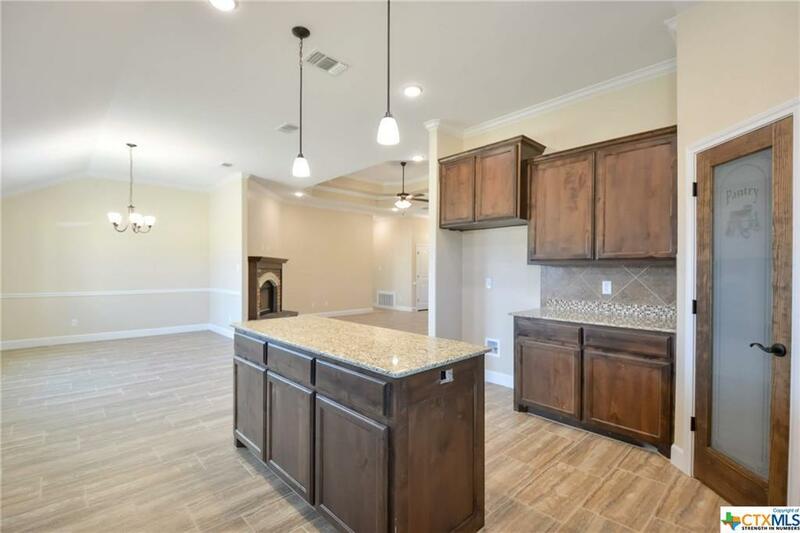 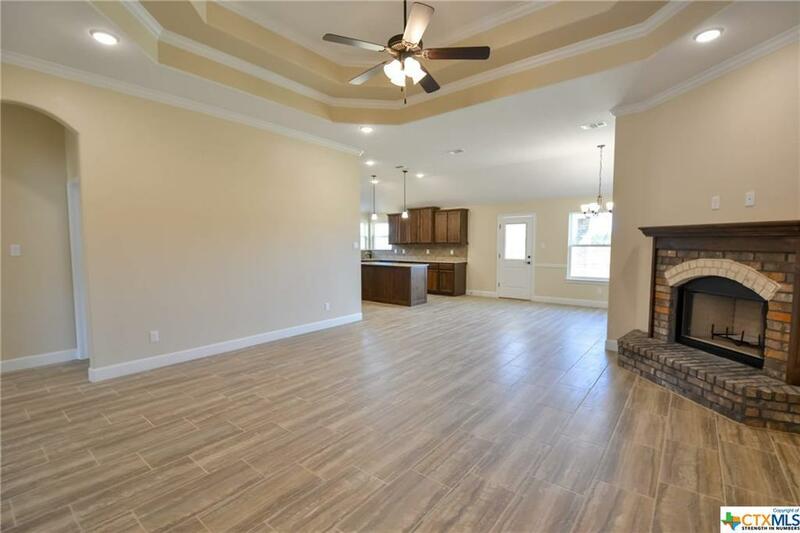 Split floor plan, large kitchen w/ plenty of granite counter tops, pantry, custom cabinets, over-sized center island, and built in microwave. 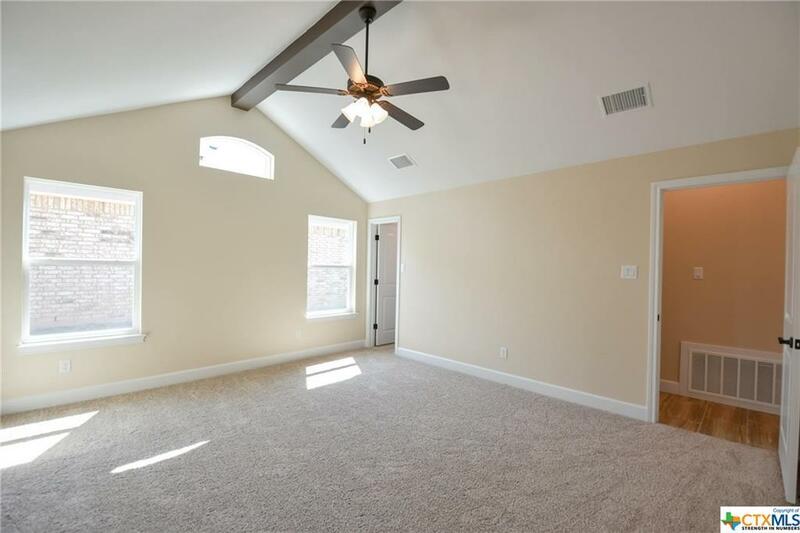 Master bedroom is truly an owners retreat. 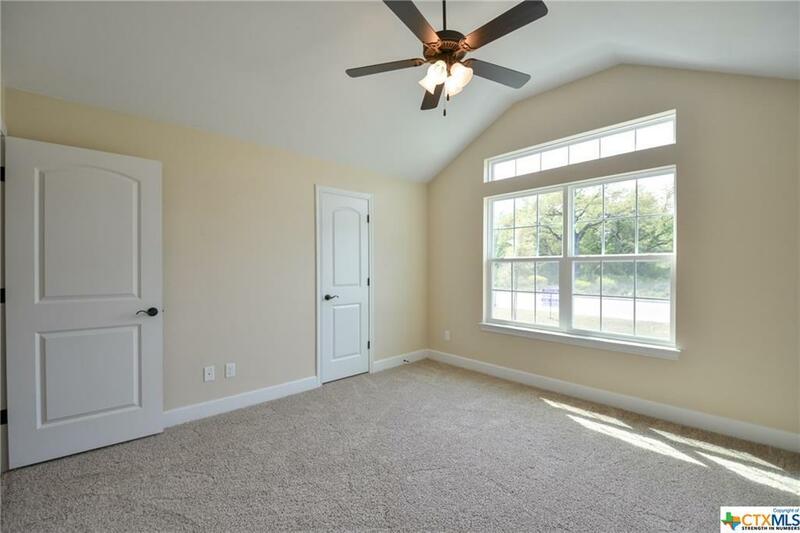 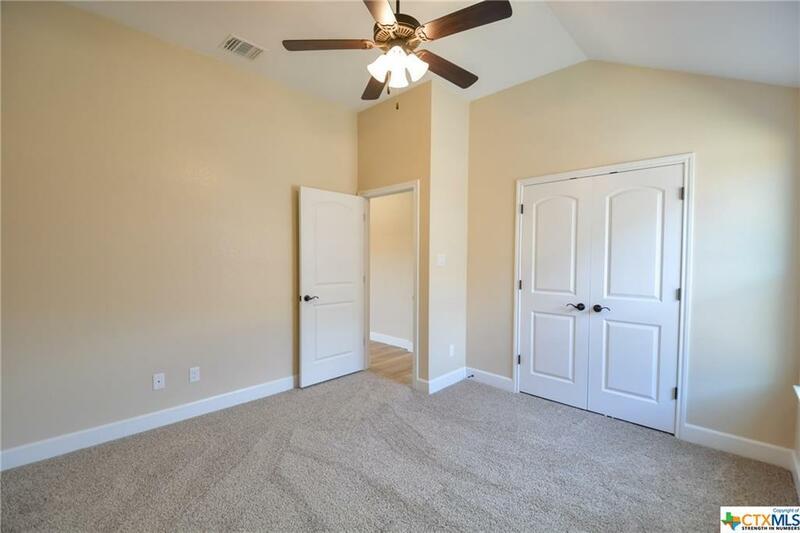 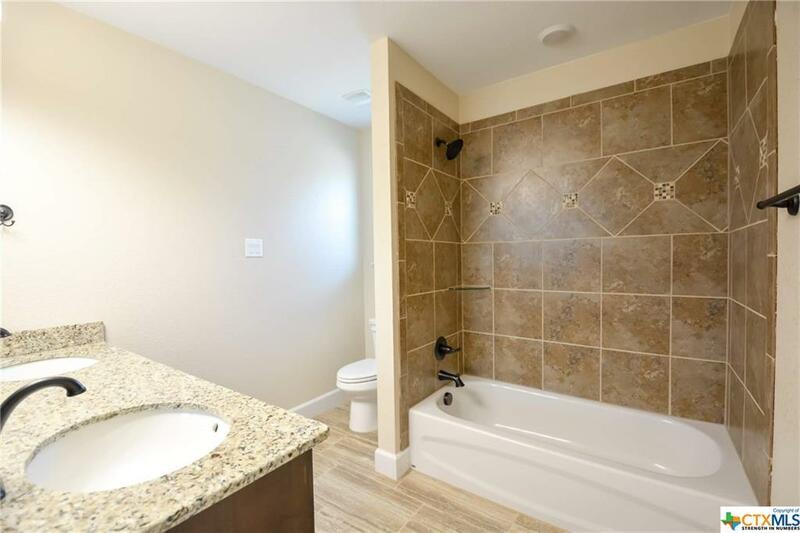 This large bedroom has 2 master closets, separate tub & immense shower with seating area, double sink vanity & accented ceilings. 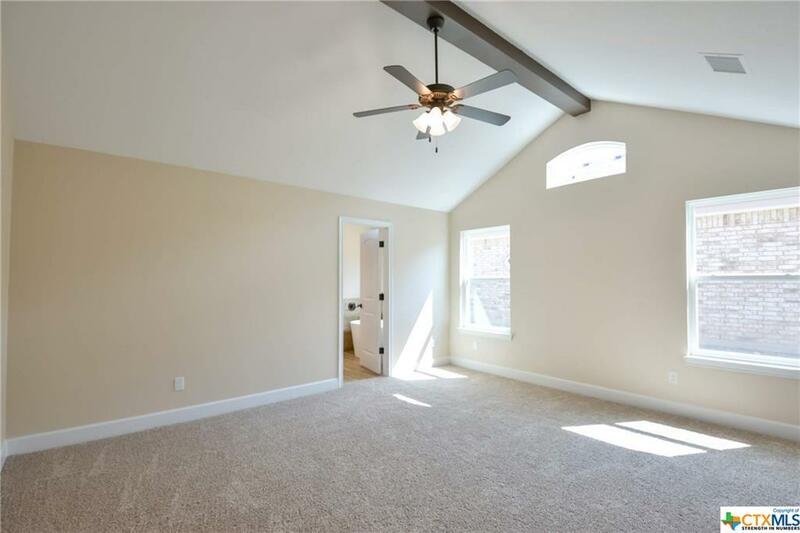 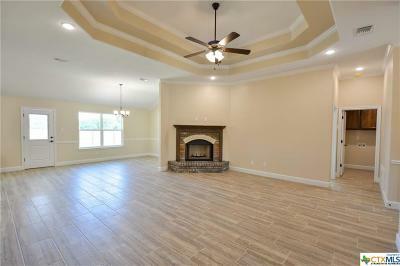 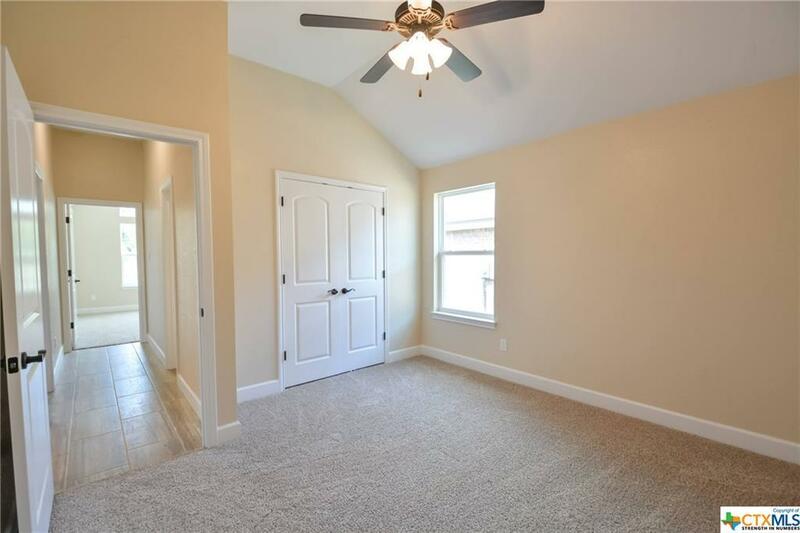 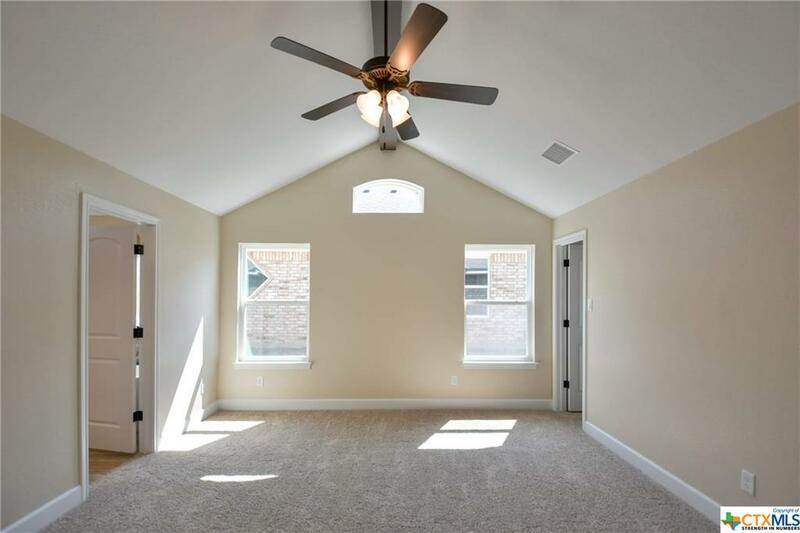 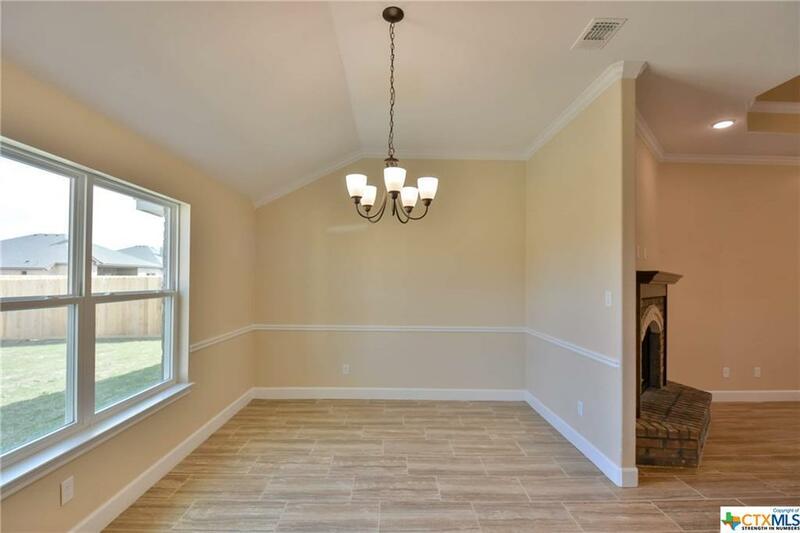 Living room has corner fireplace w/ beautiful archways leading from the living to dining area. 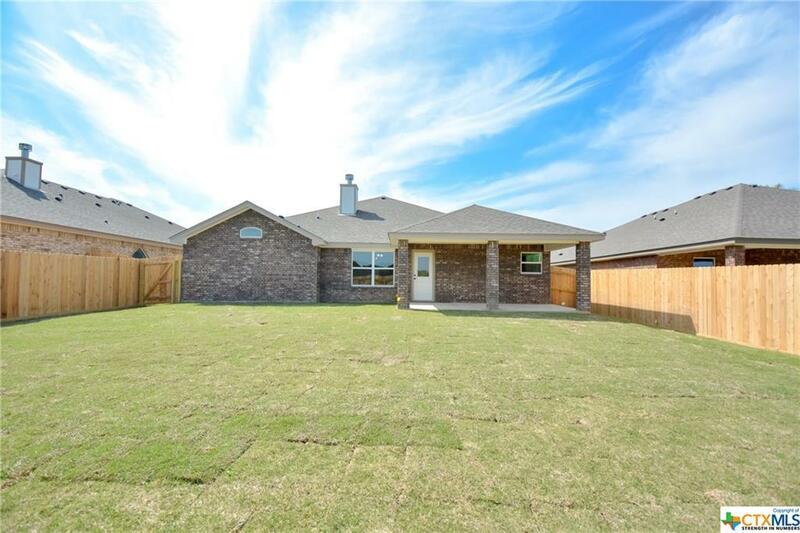 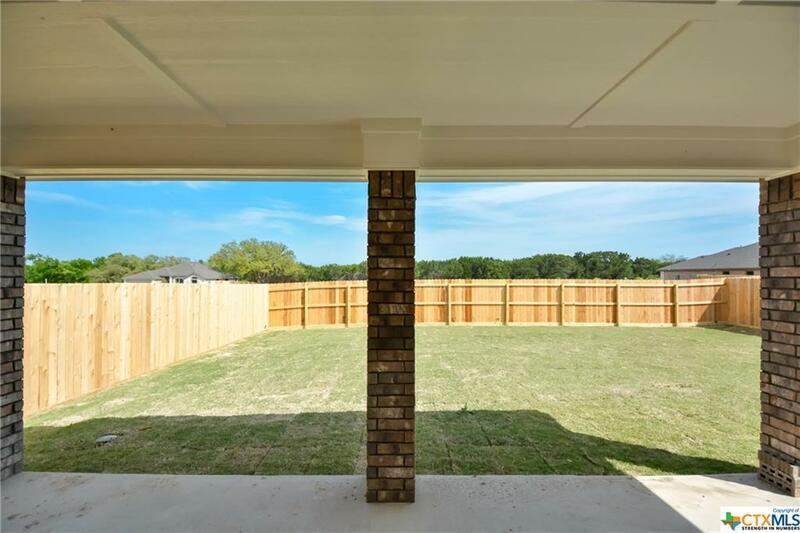 Yard w/ full sod, sprinkler system front and back, and large covered patio.